K-LaserUSA has raised the bar again with the CUBE-series. The Cube-4 is a class 4 therapy laser that emits 4 wavelengths simultaneously, which specifically target increased blood flow, hemoglobin redox, and cytochrome oxidase upregulation. 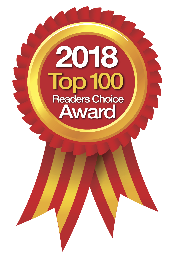 The results are excellent clinical outcomes and patient satisfaction. 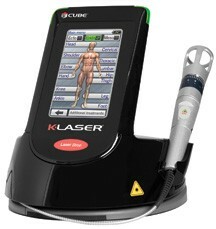 Dr. Richard Albright, Founder and CEO of K-LaserUSA, has announced the launch of their revolutionary K-Laser On Demand Program, which places K-Cube Class IV Laser devices in the hands of qualified physicians by removing financial obstacles. The K-Laser On Demand Program will be offered to a select group of applicants beginning in September with a wide release to be announced later this fall. The K-Laser On Demand program is a risk-free program that includes a specially designed K-Cube 4 On Demand Model with enhanced software, a dedicated website with revenue and treatment tracking dashboard, and comprehensive marketing and education support, ensuring physician success. For a limited time, K-Laser is confirming the initial class of qualified candidates to join the inaugural phase of the K-Laser On Demand Program. This group, known as the Founders Circle, will be limited in number and by invitation only. For more information about the K-Laser On Demand program call 866-595-7749. Or contact your K-Laser representative for more details.